The Winter Paralympics are relatively new to the world of disability sport. After World War II, many injured veterans returned to the slopes after acquiring life-changing injuries in the battle field. The surge in interest in winter parasport saw the first Winter Paralympic Games take place in Ornskoldsvik, Sweden, in 1976. Since then, winter sport has snowballed in popularity, and ParalympicsGB are hoping to build on their success in 2018. With team announcements coming soon, we can’t wait to find out who will be representing Britain out on the slopes. With British contenders in five of the six sports, we’ve got a good feeling about this year’s Winter Games. The athletes are fastening their ski boots, securing their helmets and getting mentally and physically prepared for what could be the biggest challenge of their sporting career – the slopes of PyeongChang are ready and waiting. In 2014, the Sochi Winter Paralympic Games were attended by 547 athletes from 45 nations – it was a roaring success, and PyeongChang has big (snow) shoes to fill. One man looking to make his mark at this year’s Winter Games is alpine skier Chris Lloyd. After a car crash left Chris paralysed, it was a blow to be told he would never pursue his passion for skiing again. This wasn’t an option for Chris, who took his medical advice and turned it on its head – two years later, he entered his first international race. Many hours spent in training, combined with sheer determination, means that Chris is now in contention to be selected for the Games in 2018. “Once the doctor told me I would never ski again, I was motivated to get back on the snow. Once I actually got back on the snow, I thought it was time to work my hardest and get racing and competing again,” says Chris, who now only has 40% power in his right leg and 50% power in his left. Despite being told he would never ski again, Chris knew a goal would see him back on his feet. Chris explains: “The best part for me would be to achieve a goal that I’ve set myself, which seemed very unrealistic at the time. It is obviously an honour to represent your country in that situation. I would be proud to be able to be a part of the team, and going to PyeongChang would be a really proud moment.” The last Paralympic Winter Games in Sochi 2014 saw Great Britain bring home six medals, and Chris was invited along to see all the action unfold. “It was a big learning curve, going to Sochi. We were on the Paralympic Inspiration Programme, where people who were expected to meet the selection criteria in 2018 for South Korea could see how different the environment was and understand how to prepare for it. 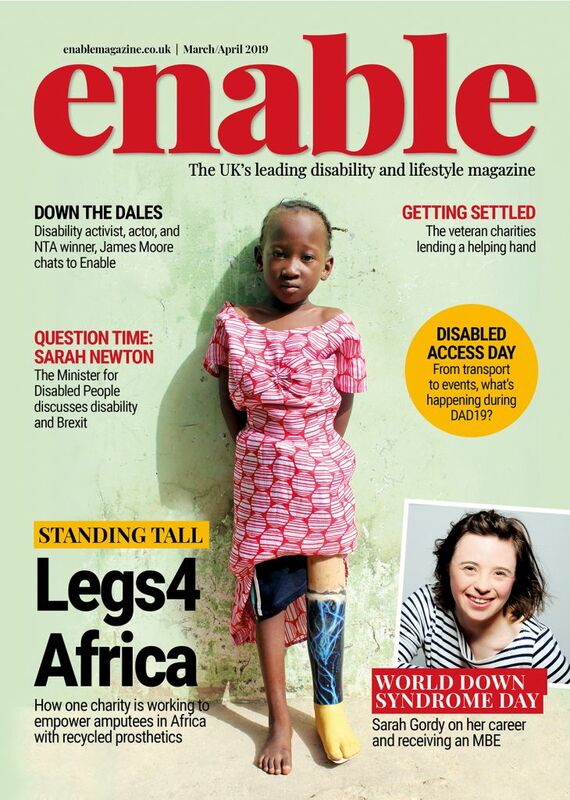 Everything is on such a large scale; everything is totally different to a normal race. It’s a buzz.” Qualification for this year’s Games would be a fantastic achievement for Chris, and his next stop is placing in either the top ten or five. From paralysis and being told he’d never ski again to bracing himself for the slopes of the Winter Paralympics, Chris is proof of what hard work can achieve. 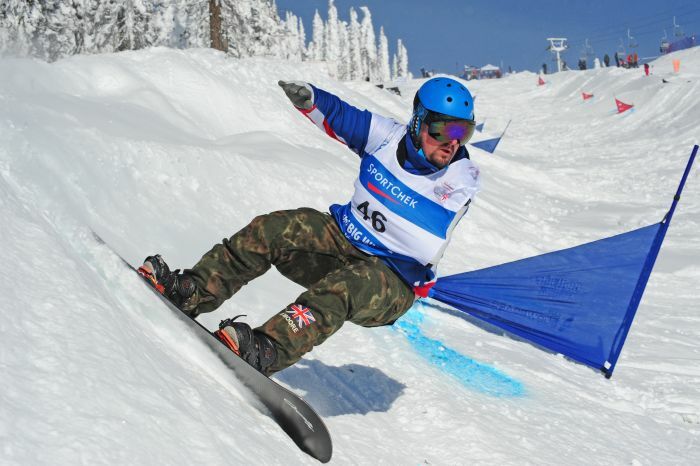 Hoping to hit the slopes as one of the first para-snowboarders for Great Britain, Ben Moore has had great success in the sport so far. After losing full use of his arm in a motorcycling accident, Ben used his skills as a skateboarder to go from concrete to snow. The transition was filled with commitment – after all, snowboarding is harder than it looks, but his determination has paid off, and being selected would be a dream come true. Ben says: “I’ve spent the last couple of years training, and hoping to get selected and be part of this. It is quite literally a dream. It would be very overwhelming; I struggle to absorb what I’ve done so far. The next step would be mind-blowing.” Having competed in the X Games and won World Cup races, it is an exciting time for Ben and snowboarding for many reasons. Snowboarding debuted during Sochi 2014, and Great Britain are yet to showcase the talent we have at home. Could Ben Moore be the man to bring home a snowboarding medal? Ben’s sheer love, passion and dedication to snowboarding comes through when he talks, and his skill shines on the slopes. His favourite part of training? “Snowboarding, all day long. Preferably free riding and on a powder day.” There are high hopes for Ben on the slopes this year – and he’s crossing everything that he makes the final cut. 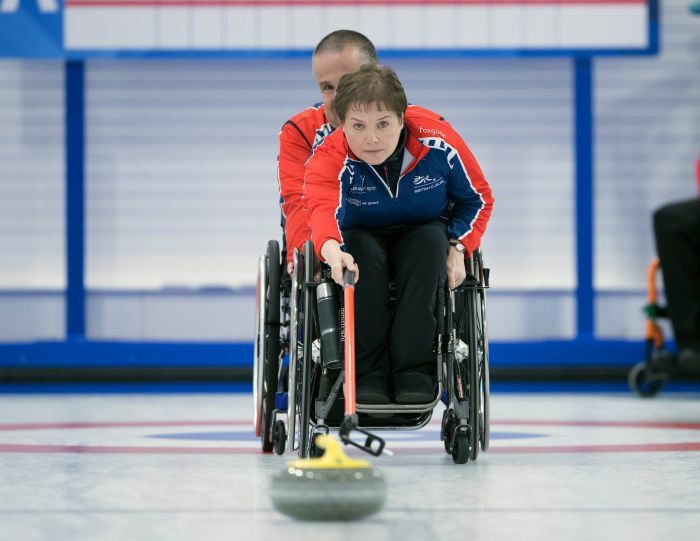 Aileen Neilson became the first female wheelchair curling skip in 2011, and her sporting career has been a journey. “If you show a picture of a rollercoaster, that is my sporting career, because it goes from highs to lows,” says Aileen. From winning a bronze in Sochi 2014 to being relegated before the World Championships in Finland, it certainly has been a ride. Having been a sport for over 10 years, wheelchair curling was added to the Winter Paralympic Games during the Turin Games in 2006, and the ParalympicsGB team have more than made their mark. The wheelchair curling team are set to use competitions in Finland and Russia at the start of 2018 to cement their skills and tactics ahead of selection. Here’s hoping it all pays off, and Aileen makes it. Selection is an exciting and integral stage of the Winter Paralympics, and there are two men focused on getting to PyeongChang. 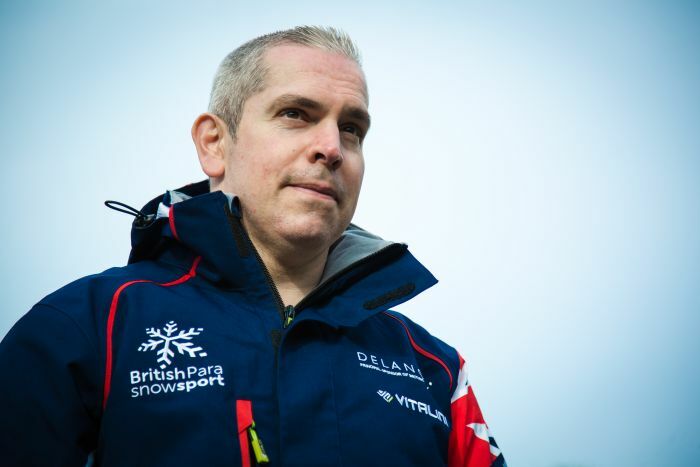 Athletes Scott Meenagh and Steve Arnold are both in the running to represent Britain – if they are selected, it will be the first time ParalympicsGB have had a Nordic skier since 1998. 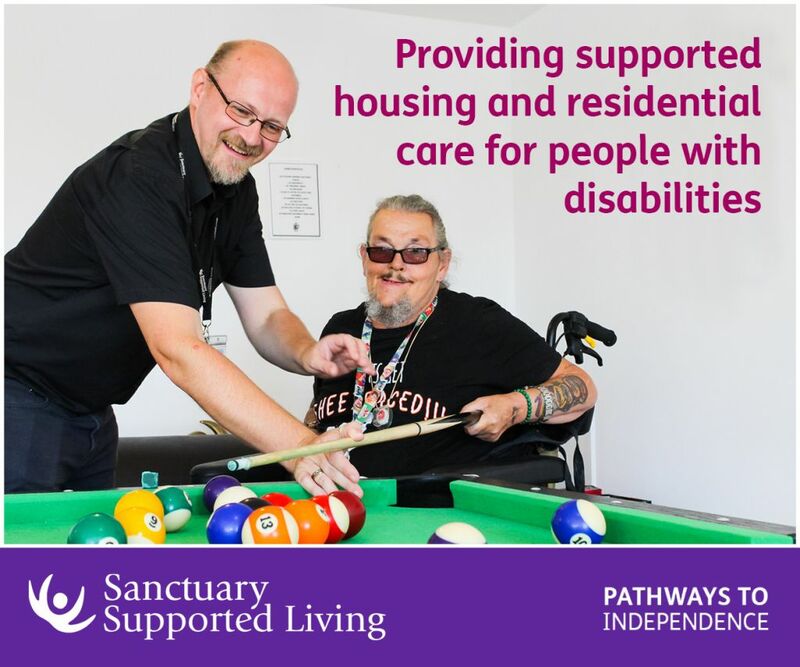 Both Scott and Steve come from a military background, and have received support from Help for Heroes on their journey to the Winter Paralympic Games. Scott was first introduced to Nordic skiing, which consists of cross country skiing and biathlon events, after being taken to Sochi as part of the Paralympic Inspiration Programme in 2014. “I was amazed by it; the physicality, the skill, technique, the environment. It looked a lot of fun, like real-life Mario Kart! The fire in my belly was lit,” says former paratrooper Scott, who lost his legs in Afghanistan. 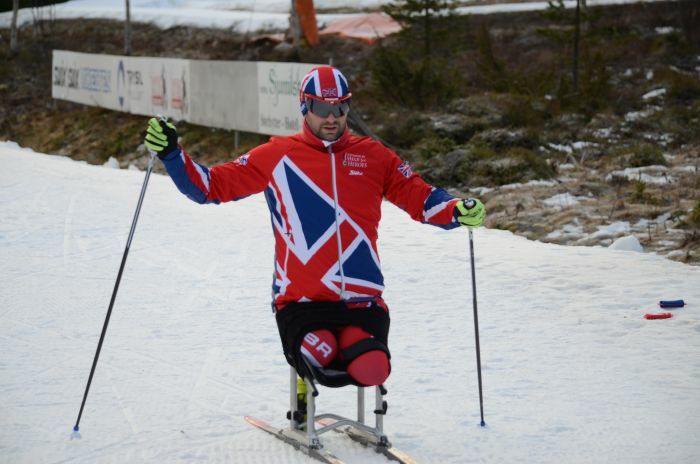 After appreciating the skill involved with Nordic skiing, Scott used his support from Help for Heroes to turn his skiing hobby into a Paralympic goal. Nordic skiing combines real physical and mental strength together, and truly tests the athletes. Cross country has three events, ranging from the 1km sprint through to 20km – each race requires different tactics, including strength, power, speed and endurance. The biathlon sees athletes balance the demands of undulated ski courses before focusing mentally in the range to shoot five targets at a distance of ten metres. The sport is enthralling, and Scott is hoping to bring his all to the Games if he is selected. “I don’t want to be a victim; I don’t want people to feel sorry for me. I want to achieve and I want to be redefined. I want to be known for other achievements, not for being the guy who lost his legs at work seven years ago,” explains Scott. “Sport has helped me move on with my life. It’s given me more of an identity as a sportsperson, rather than as an ex-soldier. The 2018 Winter Paralympics will begin on Friday 9 March until Sunday 18 March, held in PyeongChang, South Korea. Keep up to date with the ParalympicsGB team selections at www.paralympics.org.uk. 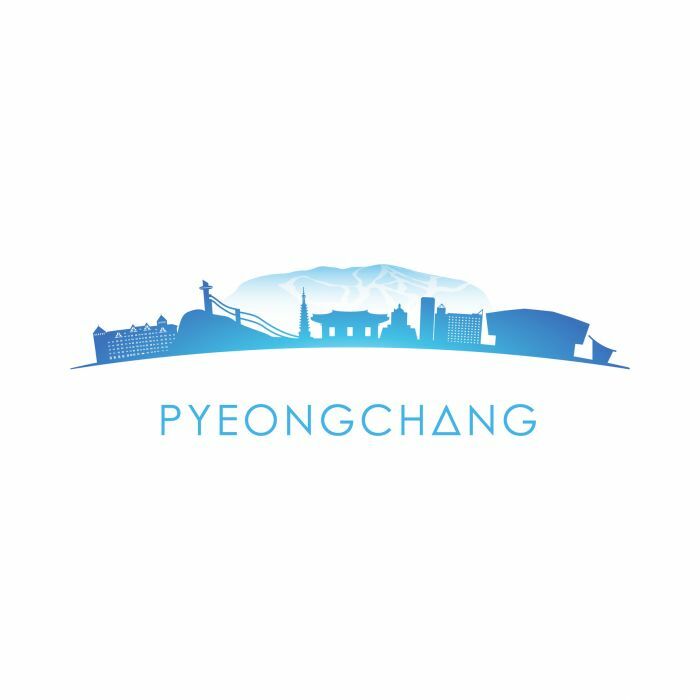 Be the first to comment on "The journey to PyeongChang"